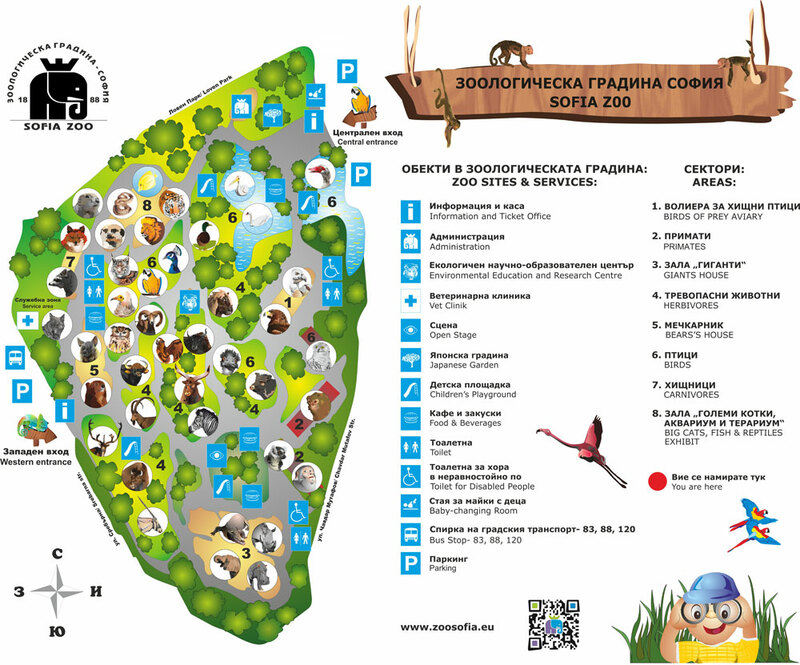 You can reach Sofia Zoo by using public transportation – busses №120, №122, №102, №93, №88, №83, №64 and №65. The main zoo entrance is located near bul. Simeonovsko Shose. You can get there by using busses №102 and №67. The western entrance is located on str. Srebarna 1. You can get there by using busses №120, №122, №93, №88, №83, №64, №65. (they stop in front of the ticket desks).